Bola Tinubu, National Leader of the All Progressives Congress (APC), has called on Nigerians to “dump Obasanjo in the dustbin”. He also accused Obasanjo of being behind the greatest election rigging in the history of the country. He stated this in his remarks at the Teslim Balogun Stadium in Lagos on Saturday, during the APC presidential campaign rally. 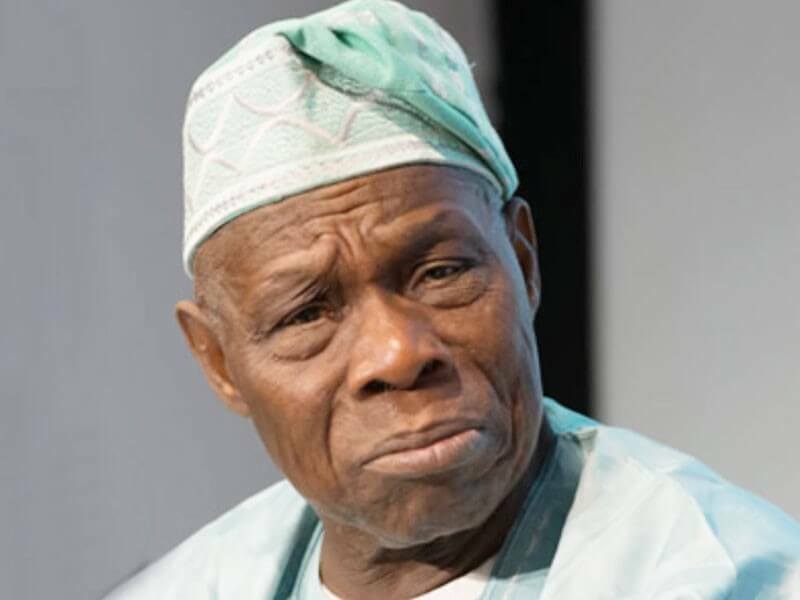 However, while accusing Obasanjo of rigging the election that brought Yar’Adua into power, he also made a gaffe, stating that the election was conducted in 2003, instead of 2007. His words: “Obasanjo came and we taught them that there is no other way for business evolution and revolution without steady power supply. I introduced independent power generation. What did he do? He and Atiku opposed it. I went to court and Osinbajo was my lawyer. I won in court and we started generating 300MW; the first state to do it. Imagine 1999, if Nigeria had made that dedication to electricity generation, you will not see Dunlop, Michelin move out of this country. Look at our roads; look at the vehicular density of Lagos alone. And they call one man Obi somewhere in one party. He said he will create jobs. He has not been able to tell us how we can make brake pads, wheel spanner on our own for those vehicles. And he said, maybe we should extend the port to Benin Republic, so that we can clear our cargo faster. I call that one ‘container economy, Obi China’. “Who sent Michelin out of this country? PDP right? Who got rid of Dunlop Manufacturing Company? Who sent Siemens out of this country? They want to take that money and the business of this country, back to their friends in Europe and America again. “I want to sympathise with our friends, our foreign observers. You’re welcome. Observe what you need to observe, write your report in peace and go home. This is our democracy. America is still questioning its own democracy. We’re watching CNN; Trump and China, Trump and Russia. Interference in the largest African democracy is what we are saying. G-20, in year 2003, asked Umaru Shehu Yar’Adua of blessed memory, ‘what are you going to do with the election in Nigeria?’ He said: ‘The election that brought me as president of this country is flawed and I will reform it’. Is that not correct? Who conducted that election? Obasanjo is the greatest election rigger in this country. He’s an expired meat. Dump him in the dustbin. Forget Obasanjo.” Also present at the event were President Muhammadu Buhari, Vice President Yemi Osinbajo, Adams Oshiomhole, the APC National Chairman, as well as governors and other party leaders.